Tusk has also talked to Trump about Ukraine. 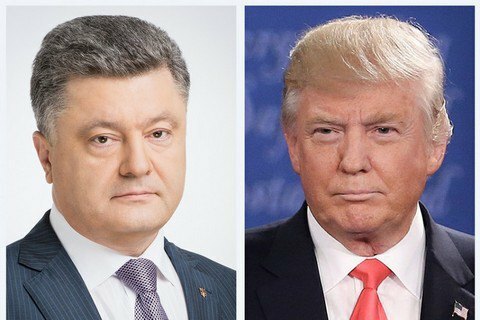 President Petro Poroshenko has said he and US President-Elect Donald Trump have discussed the Russian annexation of Crimea and its aggression against Ukraine. "I can assure you that the issue of the Russian aggression and annexation of Crimea was raised by President-elect Trump when we talked. I would not want to spill the beans on the content of the first conversation between the president of Ukraine and the president-elect of the USA but I had an opportunity to brief him in detail on the situation in the east of my country and in Crimea," Poroshenko said at a news conference at the EU-Ukraine summit in Brussels on 24 November. According to Poroshenko, Ukraine has strong support from both leading US parties, and he hopes it will be like this in the future. European Council President Donald Trump added that he had also talked to Trump about Ukraine and noted his positive response to the issue.